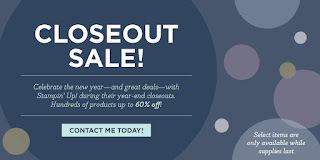 Hello stampers and crafters today I will be talking about some of my favorite Stamp sets that are retiring and part of the Year end Close out sale going on now. These are stamp sets that I am very sad to see say goodbye. And If you don't have them yet you will want to get them now. Jolly Friends was one of my favorite sets just for the Moose. I loved it so much, he made me laugh. And, there's nothing like a set that just makes you laugh. You can pick it up now at a 20% discount here! Merry Mice was another one of those stamp sets that was a must have. I had to have it when I saw it. Everyone of the stamps in the set made me want this set. It is a great set for many differently coloring techniques. Get the clear mount set at 20% off here. If you are looking for a great Halloween set the Jar of Haunts stamp set is a wonderful one. The pumpkin image is a wonderful one that can be used for fall or you can add the Jack-o-lantern face to it for a fun Halloween card. It you stamp the other face image you can create a great Grinch card for Christmas. Click here! Another great stamp set is the Spooky Fun Stamp set and make sure that you get the framelits that match. This is a wonderful set for Halloween, its a fun and very vintage stamp set that reminds me of my elementary school years. Pick it up here. Wrapped in Warmth is another on of those sets that you can use for different things. You can use it for Christmas, get well, and just a simple friend card or to a couple. 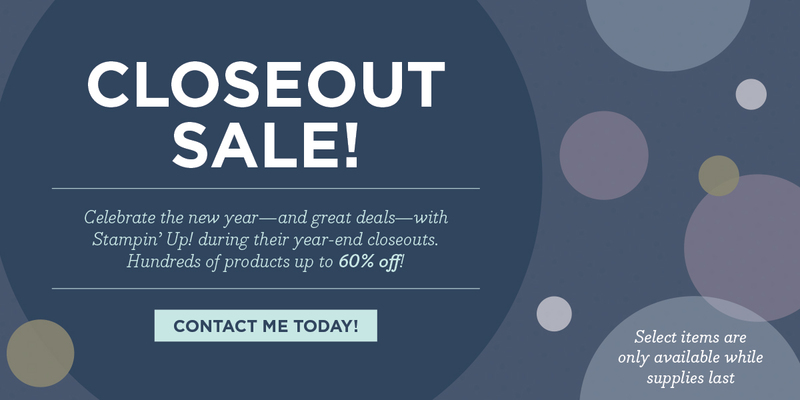 Click here to purchase at a 20% savings. Christmas Magic is one of my all time favorite stamp sets and I am very sad to see it retiring. I loved the train, and snowman images. Save 20% off the clear mount set here! 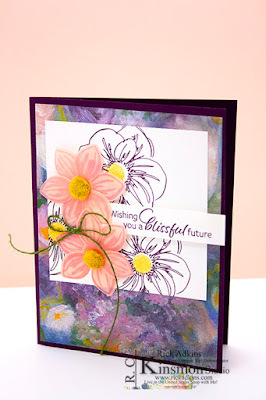 A great sentiment set that you can create both cards and tags with is the Tin of Tags stamp set. You can get it in different languages, for example here's the French version. Get the Stamp set here! If you want to create a card in a matter of minutes for Christmas then the Merry Medley back ground stamp is the one for you. 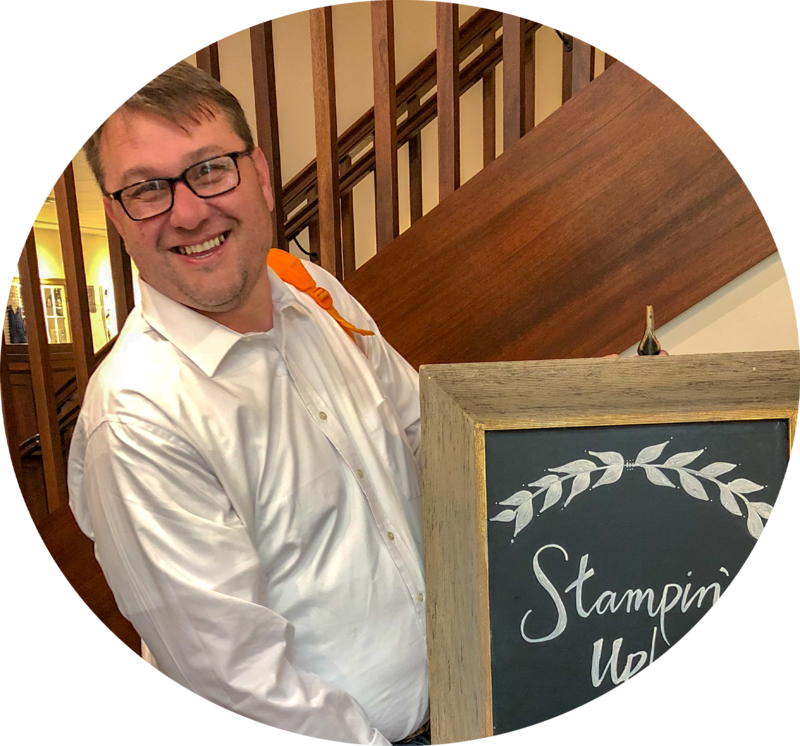 This stamp will cover the entire card front and you could you the stampin' glitter or the stampin' embossing glitter and boom your done. Merriest Wishes Stamp set is a fun festive set that can be used for both tags and cards. You can pick up the stamp set in my online store here! One of the best holiday sentiment sets in the catalog is the Suite Seasons Stamp set. You have a sentiment that can be used for every holiday this season. And, another perk of this set is that the fonts all coordinate with other stamp sets throughout the Holiday catalog. Grab it while it's still here! Thanks for dropping bye today, and remember that these sets are only available while supplies last after the 20th. Also if you want to pick up these or any of the other great stamp sets in the Year End Closeout Sale, as Christmas gifts for someone you need to order by the 15th, so that it will be here by then. You can see all the stamp sets available below.